Plasma 5.8 LTS has been released, it’s time now to look again at Plasma’s comprehensive features. Chris From the Linux Action Show voiced our Plasma 5.8 video so you can review the comprehensive features we’ve been polishing for the last couple of years and the shiny new ones in this release to make a desktop we’re proud to advocate to enthusiasts, home users, businesses and developers alike. 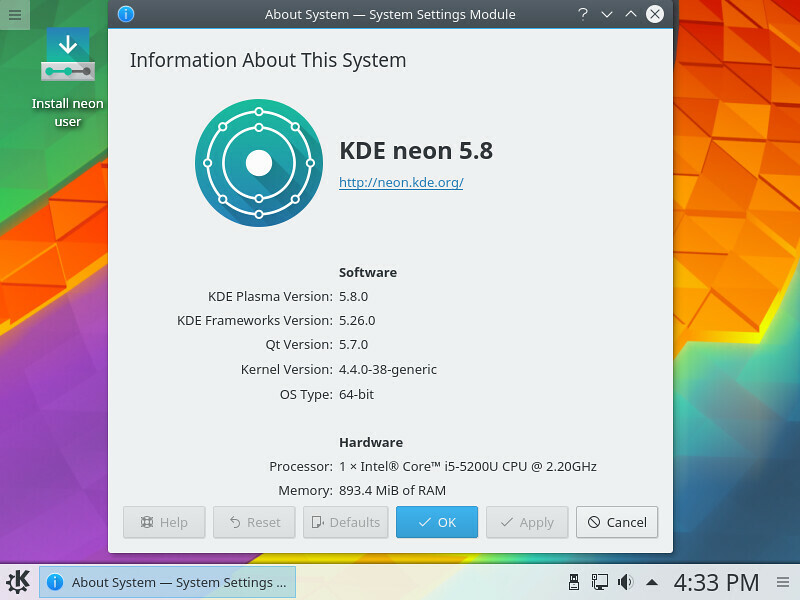 The KDE neon builders have been firing away this afternoon and Plasma 5.8 LTS is now available in the User Edition archive. If you don’t already have KDE neon installed you can grab the latest User Edition ISO to install it on your hard disk. A feature I’ve been wanting for ages in KDE is the ability to install plugins from within the application. This was made more urgent when we added Gwenview in KDE neon and had to choose between either an empty Plugins menu or adding a dependency on Kipi Plugins which brought in Konqueror and several KDElibs 4 tools. So I got round to coding the feature based on discussions I’d had previously and work on the Samba browser in Dolphin I’d done before. Using Packagekit and Appstream libraries directly to find the package and install it. But some reviewers convinced me to use an external app to care about the install. So now all Gwenview does it launch the Appstream URL and wait until a plugin gets installed. In Plasma’s case that means Discover starts up and uses Packagekit or whatever backend it’s set up with to install Kipi Plugins. A nice bit of integration there. Future work would be to put this functionality in Kipi Plugins directly so all apps can use it without much effort. 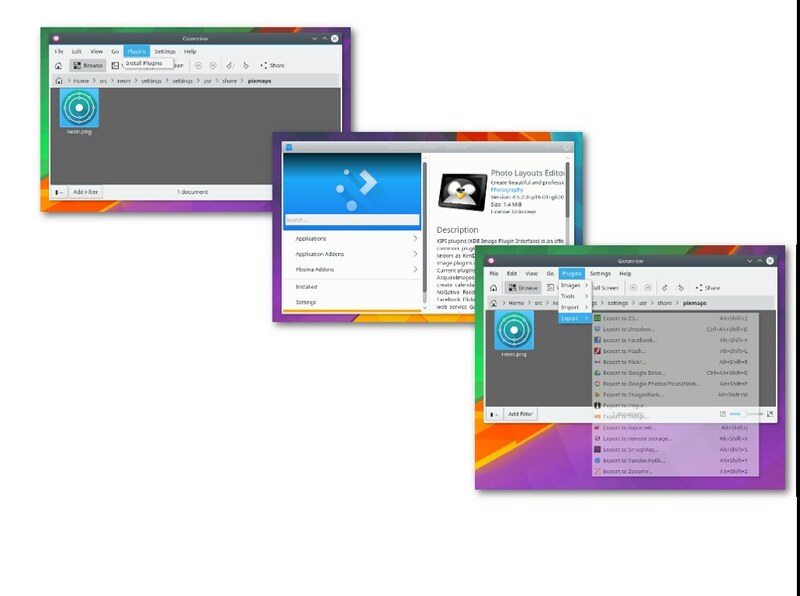 Where else can KDE apps benefit from being able to install addons within the app?